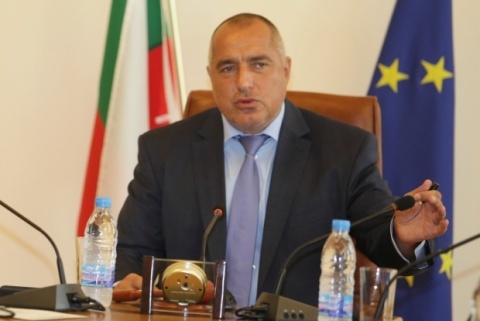 The work of the Cabinet of the ruling, center-right Citizens for European Development of Bulgaria party, GERB, is approved by 31% of Bulgarians while the disproval has reached 55%. Prime Minister, Boyko Borisov's approval and disapproval ratings have a narrower margin - 45% and 46%, respectively. The poll has been conducted by the National Center for Study of Public Opinion (NZIOM) between September 20 and 27 among 1 000 people. Regional Minister, Lilyana Pavlova, enjoys the highest ratings -45%, same as Borisov. Agriculture Minister, Miroslav Naydenov is second with 41%, followed by Interior Minister, Tsvetan Tsvetanov (37%), Culture Minister, Vezhdi Rashidov (36%) and Foreign Minister, Nikolay Mladenov (35%). Regarding the newest members of the Cabinet, as Economy and Energy Minister, Delyan Dobrev, becomes more and more visible, his approval ratings are climbing up to 34.8% against 27% disproval. The same is not valid for Health Minister, Desislava Atanasova, who has only 25.5% approval and 40.3% disapproval. Along with Atanasova, Bulgarians are the most disappointed with Finance Minister, Simeon Djankov - 23.9% approval and 64.8% disapproval, and with the Minister of Social Policy and Labor, Totyu Mladenov with 25.7% and 51%, respectively. If the vote was to be held today, four parties would make it to the Parliament - GERB (26.8%), the opposition, left-wing Bulgarian Socialist Party, BSP (17.5%), the ethnic Turkish party Movement for Rights and Freedoms, DPS (7%), and Bulgaria for Citizens movement-turned-party of former European Commissioner, Meglena Kuneva (4.3%). A possible coalition between the far-right, nationalist parties Ataka and VMRO would increase their chances. Ataka gets 3% of the respondents' approval and expands its influence in the urban areas. About 33% of those polled say they are not going to vote. The army and the police, with 39% each, remain the most approved institutions, but the approval of the police is down over recent criminal cases involving policemen and police protests. According to a poll on public opinions of the Alfa Research agency, conducted in September and released Tuesday, for the first time since GERB took office, nearly every other person has a negative opinion of its policies. 45% of respondents disapprove of the government while the share of its supporters is down to 18%. Also for the first time, approval of Prime Minister, Boyko Borisov, is lower than the disapproval 32% and 37% respectively. In the Alfa Research poll, the approval ratings of all ministers are down as well, except the one of Regional Minister, Lilyana Pavlova, whose ratings are up significantly.